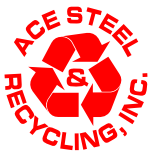 Copper Plumbing - Ace Steel & Recycling Inc.
Copper and copper alloys such as brass and bronze have some of the highest values per pound rates of non-precious metals. If you have copper plumbing fixtures and pipes, you're sitting on some cash, so why wait; get to Ace today! Copper tube is seperated into two groups - #1, and #2. #2 Copper is defined as copper tube without the following: excessively leaded, tinned, or soldered copper, brasses and bronzes, excessive oil or corrosion content,iron and non-metallics or with sediment. The great thing about recycling copper is you don't need very much to make it worth your trip to Ace. We're waiting at our dock to take your copper and write you a check! Questions? Give us a call at 342-8649. Our experienced staff is waiting to help you get started in recycling.